The goal of Drone Focus is to create an event that serves as a platform for others to build their networks, knowledge and businesses. We believe that the more others build around and onto our event, the better we can serve and add value to our attendees. Drone Focus has continued to grow and develop over the past three years to become a nationally and internationally recognized platform for unmanned aerial systems and unmanned technology. Our event is designed to serve as a platform for speakers and attendees alike to focus on emerging trends and the future of the UAS industry. With a non-traditional conference format, our event is focused more on gathering and making meaningful connections than folks feeling like they’re being presented at. We focus on what matters most to you: connections to customers, connections to industry leaders and connections to your next step in the industry. Last year, we were able to attract more than 600 attendees from eight countries, nearly 30 states, and nearly 300 organizations and hosted a presentation from U.S. Secretary of Transportation Elaine Chao. At this year’s event, we hope to build on our success in 2017 and attract as many as 800 attendees with more than 60 presenters from all across the autonomous systems industry. In addition, throughout the event, you will find that our content is woven together in a narrative focused on building the infrastructure, policies, software, hardware and tools for the autonomous nation of the future. We hope you’ll join us! If you were at Drone Focus Conference last year, you might remember a fast-paced, energetic presentation about a yet-to-be-released software product called AegisFlow, a drone services idea that would serve as a marketplace for drone pilots around the world. 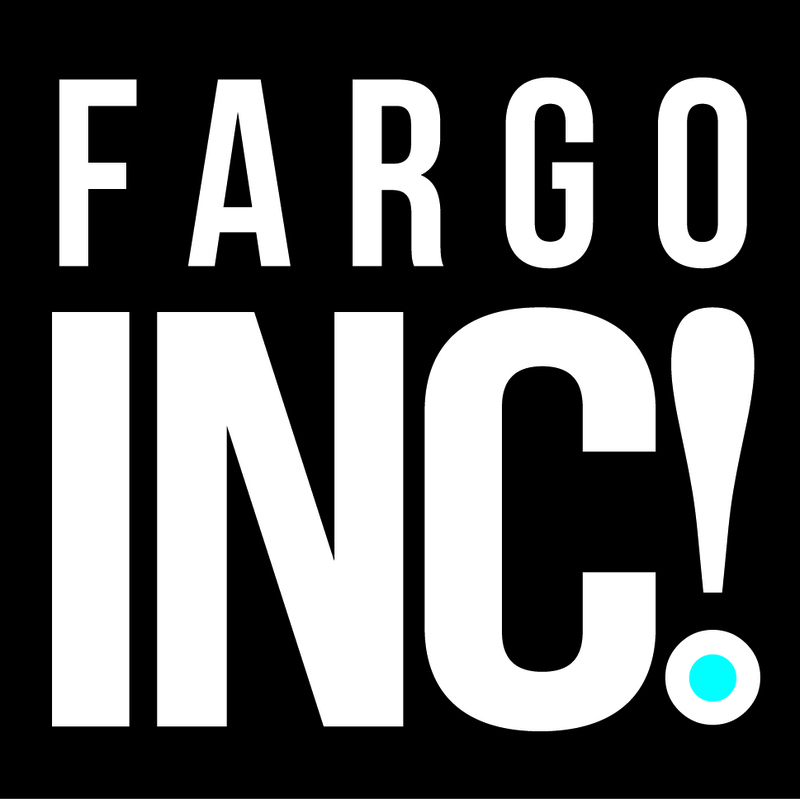 Fast forward a year, and Cofounder Anthony Molzahn and his Fargo-based team are getting ready to launch a minimum viable product at the end of this month. … the Amazon marketplace meets Getty Stock images. While AegisFlow has been described by some as an Uber for drone pilots, the comparison isn’t completely accurate for a number of reasons, according to Molzahn. They’re streamlining all the boring parts, Molzahn says: the contracting, the messaging, the communications and the payment gateways. “There was no yellow book for drone pilots and definitely nowhere to show all their wares in one space,” says Molzahn, who adds that drone services are now the fifth-most requested service in the state, due in large part to the oil, gas and energy industries. “I think we can balance the supply and demand of those looking for drone pilots to fly and the people looking for the pilots. Eventually, Aegis Flow will be able to facilitate part-and-parcel contracting. “Some of these jobs are too big for a single pilot or even a single pilot group to capture feasibly,” Molzahn explains. Imagine the following example: Xcel Energy needs 2,000 miles of power lines flown. A single pilot obviously can’t do that; they might feasibly be able to do two miles in a day, Molzahn estimates. Enter AegisFlow. When Hurricanes Harvey and Irma struck this past fall in Texas and Florida, respectively, the damages surpassed nine figures. That’s to say nothing of the human cost, highlighted by an episode in Houston where a pair of linemen were electrocuted and killed when they stepped in water that contained a downed power line they assumed was no longer active — a situation that can be avoided entirely by using unmanned vehicles, says Matt Dunlevy, the foujnder of drone services company SkySkopes. “Having sent a UAS to do similar work, you might’ve had a thermal sensor to see that there was a temperature differential so drastic that the lines might’ve still been on,” says Dunlevy, whose team went down and helped out with disaster-relief efforts in both states last fall. “We were able to provide a real-time livestream from the actual (drone) out in the field for both Hurricane Harvey and Hurricane Irma. We were then able to provide that livestream to the emergency operations centers so that decision-makers and leadership could make faster decisions. In addition to its typical drone services, SkySkopes also offers a four-day, in-person flight training course that incorporates both classroom and hands-on lessons. One of the reasons they offer such a course, according to Dunlevy, is because of the current lack of educational standards in the unmanned aircraft industry. When it comes to using drones to string transmission lines, Dunlevy says it gets back to the most fundamental benefit of using drones in the first place. He adds that the two methods aren’t mutually exclusive; one is just inherently safer. Radiometric – A way to measure electromagnetic radiation. Example: if there’s a “hot spot” at a substation, the user is able to tell the actual temperature instead of just that there’s a temperature difference. Sub-cm ground resolution – A data point smaller than a centimeter — in proportion per pixelWho Is Matt Dunlevy? Dunlevy will be highlighting some of the ways he and the SkySkopes team are utilizing LiDAR (light detection and ranging) right here in North Dakota. He’ll also be touching on the implications of using unmanned vehicles in transmission-line stringing and disaster relief. 1. They’re driving world-changing developments in UAS. Kennedy: One of the things we’ve done, even during this difficult budget time, is reinvested $3.5 million of added money into research to try and propel these areas forward. We’ve had a lot of seed grants; we’ve brought in postdocs; and that has helped us to get that flywheel going, in terms of the added research that will lead to more entrepreneurship going forward. We’ve also created the Research Institute for Autonomous Systems, which is designated to be the statewide research arm in (UAS). We have several people from NDSU who have participated with us in that. The big challenge we face is: We’re very good at flying — we’re the first school in the nation to have a degree in unmanned aviation; we’re really good at testing — we just had another breakthrough with Xcel Energy being the first power company to get beyond-visual-line-of-sight approval, and they acknowledge our Northern Plains Test Center. (But) we need to do more than just fly and be a space for testing. All that data we’re collecting, much of it is going to Boston, Austin (Texas), and Palo Alto (California), and they’re creating a lot of jobs with it: What sensor do you use? How do you store the data? If you can’t store it, how do you transmit it? How do you keep it secure through that whole chain? Once you have the data, how do you analyze it and extract actionable items from that data? All of those are high-paying jobs that could be in North Dakota. When I talk to Northrop Grumman and General Atomics, if we had more of those analytic types, they’d probably expand their footprint here. I think a lot of other businesses could use that. I think what we’re trying to do is lean in to the types of research that will create even more spin-offs like Field of View and SkySkopes that are doing wonderful things elevating the economy of the state of North Dakota. 2. UND’s Center for Innovation houses the most UAS entrepreneurs and startups in the nation. Kennedy: The advantageous thing about unmanned is that you can run unmanned services from anywhere. If we have the talent developed in North Dakota and they like North Dakota and want to stay in North Dakota, they have the ability to sell their services across the country. It’s similar with data analytics. If we have the analytics firepower here, that can be accessed anywhere in the country. One of our graduates, Matt Dunlevy with SkySkopes, was a history major. You can take diverse skills and apply them here. He’s largely hiring our students, and he’s doing work not just in North Dakota but in other regions across the state. That’s more economic opportunity for more individuals, their families and the state. 3. They’re using UAS to help meet the educational needs of veterans and their families. Kennedy: The Army, Air Force and Navy all have people (working) with some form of aviation, manned or unmanned. We recently became a member of Air University and (through that), the Air Force and other branches have a program (that allows you to get an) associate’s (and then a) bachelor’s degree and help their enlisted come out of their service with a bachelor’s. With North Dakota having two bases, it’s serving those personnel, and those personnel are cycling through and going somewhere else. You’d be surprised at the number of people who have touched or lived in North Dakota in the Air Force. I think all of those — and other servicemen and women in the other branches — are target customers at UND. We also have an aviation technology management degree that I would love to get online soon because the Army says they have more flying machines than the Air Force. In his presentation, President Kennedy will be speaking about the potential pitfalls of a state not “leaning in” to an industry in which it’s ahead of the curve. He says that as some of the biggest markets in the country such as New York and Boston are beginning to throw resources at UAS, now, more than ever, North Dakota needs to fully commit to new and existing investments. Is North Dakota Sili-drone Valley?